The Grosse Pointe Academy, a private school, relies on donor contributions to provide the quality education that people go there for. Every year they hold a major fund raiser where a large amount of money is raised for the children and their education. At the end of the event a final donation rally is held. 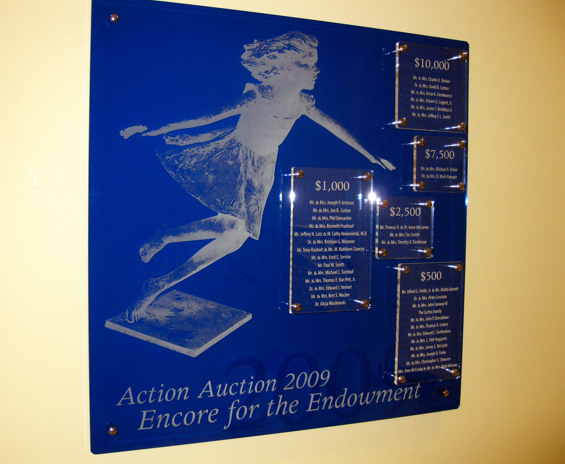 This plaque was designed to identify these generous people, who in most cases, have already participated in donating money earlier during auction and other fund raising activities. The final drive is collected and this plaque reflects their generosity.